To say that Japan holds Riedel Japan CEO Wolfgang Angyal in a judo-like grip is not far off the mark. Visibly enthused with his adopted home, and the potential opportunities it affords, as well as a slew of professional achievements under his belt, the dapper Austrian feels very much in tune with this country. Japan has long been part of Angyal’s life; this began after his parents sent their then-boisterous 4-year-old to a judo dojō to learn how to focus and burn off excess energy. In later years, he became fascinated with a television series about Japan’s shogun. Yet Angyal’s journey has had its challenges. Nor was he always certain that Japan was where he wanted to be, Angyal revealed during an interview with The Japan Times at the Riedel boutique in the upscale Aoyama district. Angyal’s first professional encounter with Japan was in 1985, when he represented Austria in the restaurant service department as part of the 28th WorldSkills Competition (WSC) held in Osaka. To Angyal’s surprise, he took gold. Now somewhat of a veteran on navigating Japan, Angyal posits that his success was in part because of his judo lessons. Citing his WSC win as one of his top professional achievements, Angyal was determined to return to Japan and did so three years later in the form of a lectureship at Osaka’s Tsuji Culinary Institute, one of Japan’s most renowned culinary academies. While thrilled to be back in Japan, the experience was not what he expected. “I was just driving home techniques … completely unaware of the superior level of Japan’s service culture. The rest of the time I was pretty much acting like an elephant walking through a porcelain shop due to my complete lack of understanding of cultural nuances. It was a very traditional environment and the cultural shock would have been mutual. I still feel sorry for my colleagues, superiors and students,” Angyal said with a rueful smile. 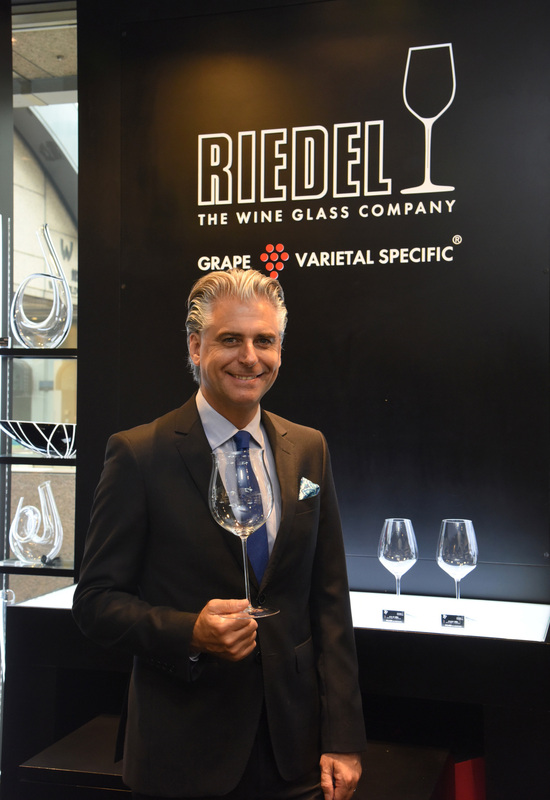 Deciding to better capitalize on his consulting, event management and hotel service skills, Angyal approached Austrian manufacturers of grape varietal-specific glassware Riedel with a proposal, but was turned down. “I was basically thrown out of the owner’s office and I can’t blame him. Who would trust someone in their early 20s with their business in Japan?” he said, laughing. However, the tenacious Angyal did not give up. A later meeting in Japan resulted in Angyal becoming a sales agent for a new restaurant line of Riedel glasses. Insisting that his first customers bought the glassware out of both pity and admiration for his ganbarō, or try-hard spirit, sales began to boom and Angyal’s efforts were rewarded. A strong believer in focusing one’s energy on specific goals, Angyal had realized his dream of living and working in Japan. But as years went on, the dream began to wane. “Living in Japan was actually not that comfortable during the end of, and following the bubble years,” Angyal recalled. While business was doing well, it was the Tokyo lifestyle at the time — or lack of it — that led to Angyal relocating to Sydney, Australia, while still working for Riedel. Twelve years after his initial foray into Japan, Angyal and Riedel were deciding whether to relocate the regional office to China or for him to move back to Japan, where emerging structural challenges could potentially hamper strong market performance. Advice from a friend who had recently made the Japan-China move helped seal Angyal’s decision to opt for returning to Japan and for Riedel to open a 100 percent subsidiary in Tokyo. “He said Japan had changed tremendously in the post-bubble years as a place to live and the choice became clear. In his words: ‘You already speak Japanese, you already know and love the culture. China (as it was then) is the perfect place for pirates, and you are not a pirate,” Angyal said. While Angyal counts helping to establish the Riedel brand in over 20 countries and over four continents, another of his top business achievements were no less spectacular. They involved establishing Riedel’s Japan subsidiary, the subsequent acquisition of a Japanese retail chain operator and opening Riedel’s first wine boutique concept store in Ginza that offered food and wine pairings. A global first, the latter concept dovetails with the Japanese lifestyle changes and trends Angyal has since witnessed himself. However, Angyal said that personally his most impressive achievement has been spearheading the development and introduction of Riedel’s varietal-specific sake glasses in Japan. Designed to enhance the epicurean aspects of sake enjoyment, the Riedel Japan CEO says he is humbled to have had an impact on the drinking culture of a beverage with history spanning over 1,000 years. “Japan offers one of the deepest dives of all, and I still feel I am just only snorkeling around the coral a few meters below the surface,” he said, smiling. Wolfgang Angyal was born in the small medieval town of Kufstein in Austria that sits at the foot of the Kaiser mountain range. The town’s history dates back around 30,000 years and is also where storied wine glass manufacturer Riedel, a pioneer of grape varietal-specific glassware, is based. Angyal spent time in the world-famous ski resort district of Kitzbuhel before representing Austria in the hotel and restaurant service category at the 28th WorldSkills Competition in 1985. He worked in hotels in Bermuda, Switzerland and Austria before returning to Japan in his early 20s as a lecturer and consultant with Tsuji Culinary Institute in 1988. 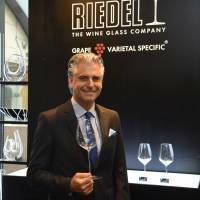 Since the early 1990s he has devoted his career to working with Riedel in various roles, most significantly as vice president Asia-Pacific, Latin America and southern hemisphere, and in his current role as CEO and president of Riedel Japan.